Randy Barlow manages our Coldwell Banker Pioneer Office in Quincy. Randy has been an agent in the area for over 30 years. He really doesn’t like having his photo taken, so we supplied one of our own. 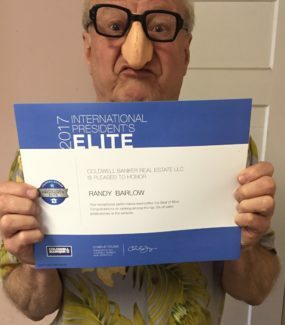 Randy is consistently awarded the Coldwell Banker President’s Elite Award which goes to the top 2% of all sales associates worldwide in the Coldwell Banker system.